**Love Bleeds Blue: Hot Cops. Hot Crime. Hot Romance. (Passion Patrol Series Book 4) (Deal, Not Free) by Emma Calin. Price: $0.99. Genre: Financial Thriller Deal of the Day, Sponsor, Adult Romance. Rated: 4.5 stars on 60 Reviews. 304 pages. ASIN: B06XXYY6NT. ISBN: 1520847661. ***Enigma:What Lies Beneath: A SciFi Alien Romance (Enigma Series Book 1) by Ditter Kellen. Price: Free. Genre: SciFi Romance of the Day. Rated: 4.4 stars on 155 Reviews. 364 pages. ASIN: B01B56NB9O. *A Beat in Time (Deal, Not Free) by Sandrine Gasq-Dion. Price: $0.99. Genre: Adult Romance Deal of the Day, Sponsor, Rock Star Romance, Firefighter Romance. Rated: 4.5 stars on 22 Reviews. 165 pages. ASIN: B018MJ0V3G. *FIRE IT UP! : HOW TO BECOME THE MOST ENGAGING SPEAKER IN THE ROOM by Reginal Smith. Price: Free. Genre: Nonfiction of the Day, Sponsor, Public Speaking, How to, Capture Audience Attention, Presentation Skills, Business Skills. Rated: 4.8 stars on 8 Reviews. ASIN: B071CG8L5Y. *Redway Acres: Book 1 – Helena by Trish Butler. Price: Free. Genre: Regency Romance of the Day, Historical. Rated: 5 stars on 15 Reviews. 308 pages. ASIN: B01C56HWW0. ***The Rogue Prince (Sky Full of Stars, Book 1) (Deal, Not Free) by Lindsay Buroker. Price: $0.99. 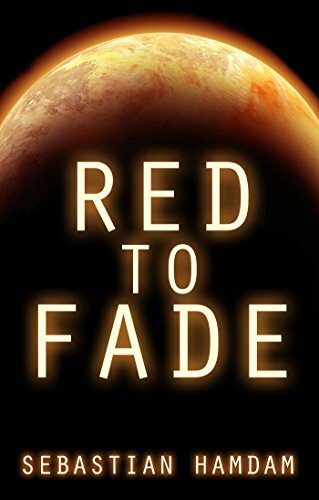 Genre: Science Fiction Book Deal of the Day, Sponsor, Space Opera, Genetic Engineering. Rated: 4.7 stars on 127 Reviews. 324 pages. ASIN: B06ZZLH321. **(Box Set Deal, Not Free) Unfinished Night — The Complete Duet: Caine & Addison, Books 1 & 2 Box Set (Unfinished Love Series, Bk 1 & 2 Bundle) (Deal, Not Free) by Violet Duke. Price: $0. Genre: Adult Romance Box Set Deal of the Day, Sponsor, USA Today Bestselling Author. Rated: 4.7 stars on 52 Reviews. 578 pages. ASIN: B06ZZ72RX9. USA Today Bestselling Author Violet Duke. **Start Again (Start Again Series #1) (Deal, Not Free) by J. Saman. Price: $0.99. Genre: Adult Romance Deal of the Day, Sponsor. Rated: 4.5 stars on 63 Reviews. 266 pages. ASIN: B01I5WBIRI. Omega Missile (Shadow Warriors Book 3) by Bob Mayer. Price: Free. Genre: Military Thriller of the Day, War, NY Times Bestselling Author, Men’s Adventure. Rated: 4.2 stars on 27 Reviews. 192 pages. ASIN: B005YPSNKA. NY Times Bestselling Author Jeffrey Monaghan. *Make Money As A Ghostwriter: How to Level Up Your Freelance Writing Business and Land Clients You Love by Sally Miller, Cruz Santana. Price: Free. Genre: Nonfiction of the Day, Sponsor, Entrepreneurship, Make a Living as a Ghostwriter, Freelance Writing Business. Rated: 5 stars on 11 Reviews. 83 pages. ASIN: B071YDKW1D. ***Cut from the Same Cloth: A Humorous Traditional Regency Romance (My Notorious Aunt Book 3) by Kathleen Baldwin. Price: Free. Genre: Regency Historical Romance of the Day, Sponsor. Rated: 4.3 stars on 330 Reviews. 244 pages. ASIN: B00L4KTTOI. *PAST TENSE: BOOK ONE OF THE ARCADIA SMITH TRILOGY by MALCOLM MCDONALD. Price: Free. Genre: Historical Fiction of the Day, Sponsor, Alternative History. Rated: 5 stars on 1 Reviews. 194 pages. ASIN: B071CSCKP9. ***Rise Of The Six (The Preston Six Book 1) by Matt Ryan. Price: Free. Genre: Cyberpunk Science Fiction of the Day, Sponsor, Dystopian Science Fiction. Rated: 4.3 stars on 362 Reviews. 370 pages. ASIN: B00T0HCQVU. *The State House Mystery – A Witch Cozy Mystery – The First Story by Kayla Rayne by Kayla Rayne. Price: Free. Genre: Cozy Mystery of the Day, Sponsor, Women Sleuths. Rated: 4 stars on 4 Reviews. 64 pages. ASIN: B06XKXCDF8. *90 Days To Profit: A Proven System to Transform Your Business by Erlend Bakke, Steve Shoulder. Price: Free. Genre: Business &Money Book of the Day, Sponsor, Strategic Planning, Nonfiction, Decision Making, Profit System, Creating Unfair Advantage. Rated: 4.6 stars on 20 Reviews. 268 pages. ASIN: B06ZYB5DST. ***Birdsongs (Benny James Mystery Book 1) (Deal, Not Free) by Jason Deas, Mary Metcalfe. Price: $0.99. Genre: Mystery Deal of the Day, Sponsor, Private Investigators, Murder. Rated: 4.2 stars on 523 Reviews. 266 pages. ASIN: B0037Z6Z9K. *BUDGET TRAVEL – The Ultimate Guide: How I left an international music career, became a Digital Nomad and began exploring the most amazing places on earth – for less than $50 a day….and how YOU can (Deal, Not Free) by Gundi Gabrielle. Price: $0.99. Genre: Nonfiction Book Deal of the Day, Sponsor,Personal Finance, How to Travel Cheap. Rated: 4.6 stars on 24 Reviews. 121 pages. ASIN: B01AAMJYQI. *6-FIGURE SIDEHUSTLE: MAKE MONEY ONLINE DOING SOM0ETHING YOU CARE ABOUT WHILE KEEPING YOUR 9-5 (TO BEGIN WITH) (Deal, Not Free) by Nick Kastrup. Price: $0.99. Genre: Nonfiction Deal of the Day, Sponsor, Job Hunting, Careers, Profitable Streams of Income. Rated: 5 stars on 1 Reviews. 100 pages. ASIN: B06ZYNFY92. *A Dragon’s Destiny (Dragons Book 1) (Deal, Not Free) by Tina Glasneck. Price: $0.99. Genre: Adventure Deal of the Day, Sponsor, Time Travel. Rated: 4.3 stars on 11 Reviews. 393 pages. ASIN: B01MDLSW0X. Fist book in series is $0.99 and 2nd book is $2.99. *And the Day Came (Deal, Not Free) by Phyllis H. Moore. Price: $0.99. Genre: Historical Fiction Deal of the Day, Sponsor, Sagas. Rated: 5 stars on 2 Reviews. 164 pages. ASIN: B071CJZLN2. *(Free For Kindle Unlimited) Behind the castle wall (The Ashworth Legacy Book 1) (Deal, Not Free) by G.C. Howard. Price: $2.99. Genre: Nonfiction Book Deal of the Day, Sponsor, Romance, Historical Romance. Rated: 5 stars on 4 Reviews. 282 pages. ASIN: B01LZ3PKZ4. *Prelude To Destiny: Awakening by Fairwren Faust. Price: $0.99. Genre: YA Fantasy Deal of the Day, Sponsor. Rated: 4.6 stars on 3 Reviews. 364 pages. ASIN: B06XFTK7B8. *The Sixth Man (Deal, Not Free) by Rupert Colley. Price: $0.99. Genre: Historical Fiction Deal of the Day, Sponsor, War, 1943. Rated: 4.8 stars on 36 Reviews. 214 pages. ASIN: B06Y5756VW. If you like If you like Scarlet Sky or The Nightingale, you’ll love this book. *I GET YOU: How communication can change your destination by Warren Tate. Price: Free. Genre: Business & Money Book of the Day, Sponsor, Excellent Book Communication, Marketing, Telemarketing, Real Estate, Good Communication. Rated: 5 stars on 6 Reviews. 117 pages. ASIN: B071DJ38TR. *Survival Aptitude Test: Sound (The Extinction Odyssey Book 1) by Mike Sheriff. Price: Free. Genre: Military Science Fiction of the Day, Sponsor, Space Marine. Rated: 4.8 stars on 34 Reviews. 265 pages. ASIN: B01M5DIZXW. If you like Logan’s Run, The Hunger Games, you’ll love this book. **Love Bleeds Blue: Hot Cops. Hot Crime. Hot Romance. (Passion Patrol Series Book 4) (Deal, Not Free) by Emma Calin. Price: $0.99. Genre: Financial Thriller Deal, Sponsor, Adult Romance. Rated: 4.5 stars on 60 Reviews. 304 pages. ASIN: B06XXYY6NT. ISBN: 1520847661. *A Beat in Time (Deal, Not Free) by Sandrine Gasq-Dion. Price: $0.99. Genre: Adult Romance Deal, Sponsor, Rock Star Romance, Firefighter Romance. Rated: 4.5 stars on 22 Reviews. 165 pages. ASIN: B018MJ0V3G. ***Enigma:What Lies Beneath: A SciFi Alien Romance (Enigma Series Book 1) by Ditter Kellen. Price: Free. Genre: Scifi Romance. Rated: 4.4 stars on 155 Reviews. 364 pages. ASIN: B01B56NB9O. **Unfinished Night — The Complete Duet: Caine & Addison, Books 1 & 2 Box Set (Unfinished Love Series, Bk 1 & 2 Bundle) (Deal, Not Free) by Violet Duke. Price: $0.99. Genre: Adult Romance Box Set Deal, Sponsor, USA Today Bestselling Author. Rated: 4.7 stars on 52 Reviews. 578 pages. ASIN: B06ZZ72RX9. USA Today Bestselling Author Violet Duke. **Unwanted Love by Rachel Smith. Price: Free. Genre: Contemporary Romance, New Adult & College. Rated: 4.8 stars on 45 Reviews. 208 pages. ASIN: B018OT6G1U. **Start Again (Start Again Series #1) (Deal, Not Free) by J. Saman. Price: $0.99. Genre: Adult Romance Deal, Sponsor. Rated: 4.5 stars on 63 Reviews. 266 pages. ASIN: B01I5WBIRI. *Redway Acres: Book 1 – Helena by Trish Butler. Price: Free. Genre: Regency Romance, Historical. Rated: 5 stars on 15 Reviews. 308 pages. ASIN: B01C56HWW0. *(Free For Kindle Unlimited) High Season: The Learnings of Mohammad Wang (Deal, Not Free) by Chazzy Patel. Price: $4.99. Genre: Historical Romance Deal, Sponsor, Ancient World Romance. Rated: 5 stars on 1 Reviews. 180 pages. ASIN: B01NC3F4UJ. ***Cut from the Same Cloth: A Humorous Traditional Regency Romance (My Notorious Aunt Book 3) by Kathleen Baldwin. Price: Free. Genre: Regency Historical Romance, Sponsor. Rated: 4.3 stars on 330 Reviews. 244 pages. ASIN: B00L4KTTOI. Redeemed: Book Two of the Love Seekers Series by Maria Vickers. Price: Free. Genre: Medical Romance, Inspirational, Contemporary. Rated: 4.4 stars on 5 Reviews. 268 pages. ASIN: B01MVB8VM9. ***Lost in Me (Here and Now Book 1) (Repeat) by Lexi Ryan. Price: Free. Genre: Contemporary Romance, Suspense, NY Times Bestselling Author, Women’s Fiction. Rated: 4.4 stars on 421 Reviews. 216 pages. ASIN: B00JICUQZ0. NY Times Bestselling Author Lexi Ryan. *An Unforgettable Holiday by Joanne Dannon. Price: Free. Genre: Contemporary Romance, Jewish. Rated: 4.5 stars on 25 Reviews. 128 pages. ASIN: B01MD2HFQ5. *Crimson Blues by Dene Low. Price: Free. Genre: Mystery, Women Sleuths, Clean & Wholesome. Rated: 4.3 stars on 31 Reviews. 178 pages. ASIN: B00CE2H5SC. *(Free For Kindle Unlimited) One Per Coffin (Deal, Not Free) by Tony Block. Price: $3.99. Genre: Mystery Deal, Sponsor, Thriller. Rated: 5 stars on 3 Reviews. 100 pages. ASIN: B06XP953GT. *The State House Mystery – A Witch Cozy Mystery – The First Story by Kayla Rayne by Kayla Rayne. Price: Free. Genre: Cozy Mystery, Sponsor, Women Sleuths. Rated: 4 stars on 4 Reviews. 64 pages. ASIN: B06XKXCDF8. ***Birdsongs (Benny James Mystery Book 1) (Deal, Not Free) by Jason Deas, Mary Metcalfe. Price: $0.99. Genre: Mystery Deal, Sponsor, Private Investigators, Murder. Rated: 4.2 stars on 523 Reviews. 266 pages. ASIN: B0037Z6Z9K. *Prowlers & Growlers: A Paranormal Romance & Urban Fantasy Collection (Deal, Not Free) by Gina Kincade, Kiki Howell, Amy Lee Burgess. Price: $0.99. Genre: Supernatural Thriller Box Set Deal, Sponsor, USA Today Bestselling Authors, Ghosts, Steamy Paranormal Romance. Rated: 4.8 stars on 6 Reviews. 999 pages. ASIN: B01MYD5JE3. USA Today Bestselling Authors inc. Gina Kincade, Amy Lee Burgess. *Cardiac by Jeffrey Monaghan. Price: Free. Genre: Medical Thriller, Technothrillers. Rated: 4.4 stars on 18 Reviews. 304 pages. ASIN: B01G448C1E. Omega Missile (Shadow Warriors Book 3) by Bob Mayer. Price: Free. Genre: Military Thriller, War, NY Times Bestselling Author, Men’s Adventure. Rated: 4.2 stars on 27 Reviews. 192 pages. ASIN: B005YPSNKA. NY Times Bestselling Author Jeffrey Monaghan. Ghosting by Dan Lee Rogers. Price: Free. Genre: Technothrillers, Mystery. Rated: 5 stars on 4 Reviews. 277 pages. ASIN: B06XRQT75H. Condemned (Julian Mercer Book 1) by G.K. Parks. Price: Free. Genre: Hard-Boiled Mystery. Rated: 4.5 stars on 4 Reviews. 273 pages. ASIN: B00VPJ1B8U. ***The Envelope (Texas Hearts Book 1) by Emily Josephine. Price: Free. Genre: Christian Contemporary Romance, Sponsor, Inspirational. Rated: 4.6 stars on 205 Reviews. 286 pages. ASIN: B008KFBBVE. *He Will Rule as God: Ancient Israel History, An Old Testament Commentary. Price is: Free. Genres are: Christian Living Book, Sponsor, Old Testament Commentary. Get Kindle, Mobi or PDF files free. The Long Harbor Testament by Tom Minder. Price: Free. Genre: Mystery, Organized Crime, Suspense. Rated: 4.4 stars on 6 Reviews. 262 pages. ASIN: B01MZ97Z8B. ***The Rogue Prince (Sky Full of Stars, Book 1) (Deal, Not Free) by Lindsay Buroker. Price: $0.99. Genre: Science Fiction Book Deal, Sponsor, Space Opera, Genetic Engineering. Rated: 4.7 stars on 127 Reviews. 324 pages. ASIN: B06ZZLH321. *(Mini Box Set Deal, Not Free) Adam Fitzgerald: The Complete Serialized Novel Plus Bonus Content. (Adam Fitzgerald Serial Book 5) (Deal, Not Free) by NT Jenks. Price: $0.99. Genre: Dystopian Science Fiction Mini Box Set Deal, Sponsor, Genetic Engineering. Rated: 5 stars on 1 Reviews. 350 pages. ASIN: B06XR2HC2X. *Survival Aptitude Test: Sound (The Extinction Odyssey Book 1) by Mike Sheriff. Price: Free. Genre: Military Science Fiction, Sponsor, Space Marine. Rated: 4.8 stars on 34 Reviews. 265 pages. ASIN: B01M5DIZXW. If you like Logan’s Run, The Hunger Games, you’ll love this book. The Tribes of Earth: Cold Sleep – Book 1 by Rob Shulman. Price: Free. Genre: Science Fiction, Cyberpunk, Post-Apocalyptic. Rated: 5 stars on 4 Reviews. 290 pages. ASIN: B01INHKVHI. Perception Is Truth: (Part One) (The Perception Book 3) by Fred Gibson. Price: Free. Genre: Science Fiction, Adventure. Rated: 4.8 stars on 4 Reviews. 428 pages. ASIN: B00KQ29ZA8. ***Rise Of The Six (The Preston Six Book 1) by Matt Ryan. Price: Free. Genre: Cyberpunk Science Fiction, Sponsor, Dystopian Science Fiction. Rated: 4.3 stars on 362 Reviews. 370 pages. ASIN: B00T0HCQVU. *The Bad Luck Curse (The Kafka Legacy Book 1) by Jason Flanigan. Price: Free. Genre: Fantasy, Sword & Sorcery. Rated: 4.6 stars on 26 Reviews. 243 pages. ASIN: B019UT35X0. *Chameleon Moon (Deal, Not Free) by RoAnna Sylver. Price: $0.99. Genre: Fantasy Book Deal, Sponsor. Rated: 4.9 stars on 23 Reviews. 382 pages. ASIN: B01LW0O7KJ. The Bright Light by Alexis Patjane. Price: Free. Genre: Fantasy, Fairy Tales, Mythology & Folk Tales. Rated: 4.8 stars on 7 Reviews. 280 pages. ASIN: B00EFOV3M6. *Hunted (Dragonlands Book 2) by Megg Jensen. Price: Free. Genre: Horror, Epic, Sword & Sorcery. Rated: 4.4 stars on 78 Reviews. 293 pages. ASIN: B00KRQ46R0. *PAST TENSE: BOOK ONE OF THE ARCADIA SMITH TRILOGY by MALCOLM MCDONALD. Price: Free. Genre: Historical Fiction, Sponsor, Alternative History. Rated: 5 stars on 1 Reviews. 194 pages. ASIN: B071CSCKP9. *(Free For Kindle Unlimited) Behind the castle wall (The Ashworth Legacy Book 1) (Deal, Not Free) by G.C. Howard. Price: $2.99. Genre: Historical Fiction Deal, Sponsor, Romance, Historical Romance. Rated: 5 stars on 4 Reviews. 282 pages. ASIN: B01LZ3PKZ4. *The Sixth Man (Deal, Not Free) by Rupert Colley. Price: $0.99. Genre: Historical Fiction Deal, Sponsor, War, 1943. Rated: 4.8 stars on 36 Reviews. 214 pages. ASIN: B06Y5756VW. If you like If you like Scarlet Sky or The Nightingale, you’ll love this book. *A Totally ’80s Romance (Boxed Set Books 1-3) by Addison Moore. Price: Free. Genre: YA Romance, Girls & Women, NY Times Bestselling Author, Contemporary. Rated: 5 stars on 8 Reviews. 724 pages. ASIN: B06X3RT3LM. NY Times Bestselling Author Addison Moore. *(Free For Kindle Unlimited) The Touch: A Supernatural Story – Part I (Deal, Not Free) by Robert Flynn III. Price: $5.99. Genre: YA Horror Deal, Sponsor, YA Fable, YA Supernatural. Rated: 4.4 stars on 3 Reviews. 382 pages. ASIN: B06VTXNRNY. *Little Thief by Bonnie Frazier. Price: Free. Genre: YA Fiction, Friendship, Self-Esteem. Rated: 4.9 stars on 10 Reviews. 280 pages. ASIN: B00EFOV3M6.256 pages. ASIN: B01EQMYPEY. *Prelude To Destiny: Awakening by Fairwren Faust. Price: $0.99. Genre: YA Fantasy Deal, Sponsor. Rated: 4.6 stars on 3 Reviews. 364 pages. ASIN: B06XFTK7B8. Courage (the Dreughan Book 1) by Lena North. Price: Free. Genre: Coming of Age, Historical, Sword & Sorcery, Fantasy, Paranormal & Fantasy. Rated: 4.3 stars on 24 Reviews. 212 pages. ASIN: B014AYUCR2. *(Free For Kindle Unlimited) If I Could Climb Trees (Nuggies Book 5) (Deal, Not Free) by Jeff Minich. Price: $3.98. Genre: Children’s Book Deal, Sponsor, Puppies, Nuggies. Rated: 4.8 stars on 10 Reviews. 17 pages. ASIN: B06XD1S3LQ. Read more about Nuggies here! *Good & Dead: Book 1 by Jamie Wahl. Price: Free. Genre: Children’s Books, Humor, Paranormal & Urban. Rated: 4.8 stars on 27 Reviews. 246 pages. ASIN: B01731FXLO. *Charming Academy by Jessica L. Elliott. Price: Free. Genre: Fairy Tales, Folk Tales & Myths. Rated: 4.7 stars on 14 Reviews. 500 pages. ASIN: B014RUY5RC. *Of Song and Singularity by Emory Skwara. Price: Free. Genre: Children’s Books, Dystopian, Science Fiction. Rated: 5 stars on 6 Reviews. 327 pages. ASIN: B013YYKQP2. The Kings of Shanth’ur by Eztian Beukes. Price: Free. Genre: Children’s Books, Literature & Fiction, Magical Realism. Rated: 4.5 stars on 6 Reviews. 266 pages. ASIN: B01M4LP635. Colombian Adventures: A Boy?s Missionary Dream Comes True (Illustrated) by Russell M. Stendal, Sheila Wilkinson, Monica Bruenjes. Price: Free. Genre: Religious, Missions & Missionary Work, Religion & Spirituality, Ministry & Evangelism. Rated: 5 stars on 4 Reviews. ASIN: B01G98Q4KQ. Tales of a Redheaded Sea-Witch by JE Hunter. Price: Free. Genre: Fantasy & Magic, Contemporary, Paranormal & Urban. Rated: 4.5 stars on 4 Reviews. 243 pages. ASIN: B00JV2O05Y. *Sal de mis sueños (Spanish Edition) (Repeat) by Fernando Trujillo Sanz. Price: Free. Genre: Spanish, Mystery, Fantasy. Rated: 4.2 stars on 155 Reviews. 226 pages. ASIN: B007V7427W. *A Dragon’s Destiny (Dragons Book 1) (Deal, Not Free) by Tina Glasneck. Price: $0.99. Genre: Adventure Deal, Sponsor, Time Travel. Rated: 4.3 stars on 11 Reviews. 393 pages. ASIN: B01MDLSW0X. Fist book in series is $0.99 and 2nd book is $2.99. Under the Cold Stones by Dan McNay. Price: Free. Genre: Crime Thriller, Women’s Fiction, Suspense. Rated: 4.7 stars on 4 Reviews. 205 pages. ASIN: B06XFYPJWG. *Boujee With A Lil Hood In Her by Lady Lissa, Kia Meche’. Price: Free. Genre: African American Women’s Fiction, Urban Life. Rated: 4.6 stars on 37 Reviews. 136 pages. ASIN: B06XJZ2KR6. *What is Love by Carmen Lashay. Price: Free. Genre: African American Fiction, Urban Life. Rated: 4.9 stars on 23 Reviews. 392 pages. ASIN: B01N6Z70GN. Encounter (Encounters of the Third Kind Book 1) by Perie Wolford. Price: Free. Genre: Gay Fiction. Rated: 4 stars on 9 Reviews. 146 pages. ASIN: B00SU5YG8O. Love So Innocent by Moshe Trotman. Price: Free. Genre: Humor, Family Life. Rated: 4.6 stars on 6 Reviews. 227 pages. ASIN: B06Y4DTM43. *Meal Prep: The Essential Guide: How to Prepare Quick and Easy Meals with Delicious Recipes for Weight Loss, Batch Cooking, and Clean Eating by Lucas Owens. Price: Free. Genre: Cookbooks, Food & Wine, Cooking Methods, Budget. Rated: 5 stars on 4 Reviews. 68 pages. ASIN: B06ZYB9YWS. *The Big 9: Common Food Allergens and How to Avoid Them: Wheat, Soya, Eggs, Milk, Seafood, Fish, Tree Nuts, Peanuts, and Processed Sugar by Ranae Richoux. Price: Free. Genre: Cookbooks, Food & Wine, Special Diet, Allergies, Wheat Free. Rated: 4.6 stars on 12 Reviews. 162 pages. ASIN: B0105XBG4U. Mindful Eating: Mindfulness : your ultimate guide for a positive relationship with food and a balanced body and mind by djamel boucly. Price: Free. Genre: Cookbooks, Food & Wine, Cooking Education & Reference, Essays. Rated: 4.5 stars on 6 Reviews. 70 pages. ASIN: B06XRTVFZF. Ketogenic Diet: 30 Amazing Healthy Ketogenic Recipes For Weight Loss by Tyler Fletcher. Price: Free. Genre: Cookbooks, Food & Wine, Special Diet, Paleo. Rated: 4.4 stars on 11 Reviews. 68 pages. ASIN: B06XRYX5PZ. Simple Comfort Foods: Easy Recipes for Everyone’s Cookbook by Ranae Richoux. Price: Free. Genre: Cookbooks, Food & Wine, Quick & Easy. Rated: 4.4 stars on 9 Reviews. 81 pages. ASIN: B012HANGOC. Gluten-Free Recipes in Under 25 Minutes: Quick and Tasty Gluten-free Recipes for Busy People by Jerry Newsome. Price: Free. Genre: Cookbooks, Food & Wine, Special Diet, Gluten Free. Rated: 4 stars on 10 Reviews. ASIN: B071DLQJN7. F’in A: Fixing America by Anthony Lett. Price: Free. Genre: History, Americas. Rated: 4.8 stars on 5 Reviews. 198 pages. ASIN: B00GDNWX0S. Ireland: The True and Surprising Stories of Irish History by Patrick Auerbach. Price: Free. Genre: History, Europe, Ireland. Rated: 4.3 stars on 10 Reviews. 65 pages. ASIN: B06Y2BZDM1. Henry James by Rebecca West. Price: Free. Genre: Biographies & Memoirs, Arts & Literature, Authors, History & Criticism. Rated: 4.2 stars on 5 Reviews. ASIN: B071NBZHWL. Cold Cases True Crime: Will They Ever Be Solved? The Bewildering Stories Of The Unfinished Cases (Missing Persons Book 1) by Joseph Exton. Price: Free. Genre: Biographies & Memoirs, True Crime, Organized Crime, Serial Killers, Murder & Mayhem. Rated: 4.1 stars on 7 Reviews. 56 pages. ASIN: B01MR60HGM. *FIRE IT UP! : HOW TO BECOME THE MOST ENGAGING SPEAKER IN THE ROOM by Reginal Smith. Price: Free. Genre: Nonfiction, Sponsor, Public Speaking, How to, Capture Audience Attention, Presentation Skills, Business Skills. Rated: 4.8 stars on 8 Reviews. ASIN: B071CG8L5Y. *How To Waste Money Self Publishing (Deal, Not Free) by Bob Kern. Price: $0.99. Genre: How to Waste Money Self Publishing Guide Book Deal, Sponsor, Non Fiction, Author Advice. Rated: 5 stars on 1 Reviews. 56 pages. ASIN: B01MS903RJ. *The Mindfulness Approach: To Eliminate or Reduce Symptoms of Stress-Related Illnesses by Dean Nelson. Price: Free. Genre: Self-Help. Rated: 5 stars on 8 Reviews. 166 pages. ASIN: B01MXLVT6W. *(Free For Kindle Unlimited) Navigating the Road of Infertility (Deal, Not Free) by Chrissie Kahan, Aaron Kahan. Price: $2.99. Genre: Biographies & Memoirs Book Deal, Sponsor, Non Fiction. Rated: 4.7 stars on 35 Reviews. 183 pages. ASIN: B01M4Q0PKE. *Make Money As A Ghostwriter: How to Level Up Your Freelance Writing Business and Land Clients You Love by Sally Miller, Cruz Santana. Price: Free. Genre: Nonfiction, Sponsor, Entrepreneurship, Make a Living as a Ghostwriter, Freelance Writing Business. Rated: 5 stars on 11 Reviews. 83 pages. ASIN: B071YDKW1D. *90 Days To Profit: A Proven System to Transform Your Business by Erlend Bakke, Steve Shoulder. Price: Free. Genre: Business &Money Book, Sponsor, Strategic Planning, Nonfiction, Decision Making, Profit System, Creating Unfair Advantage. Rated: 4.6 stars on 20 Reviews. 268 pages. ASIN: B06ZYB5DST. *6-FIGURE SIDEHUSTLE: MAKE MONEY ONLINE DOING SOM0ETHING YOU CARE ABOUT WHILE KEEPING YOUR 9-5 (TO BEGIN WITH) (Deal, Not Free) by Nick Kastrup. Price: $0.99. Genre: Nonfiction Deal, Sponsor, Job Hunting, Careers, Profitable Streams of Income. Rated: 5 stars on 1 Reviews. 100 pages. ASIN: B06ZYNFY92. *(Free For Kindle Unlimited) Behind the castle wall (The Ashworth Legacy Book 1) (Deal, Not Free) by G.C. Howard. Price: $2.99. Genre: Nonfiction Book Deal, Sponsor, Romance, Historical Romance. Rated: 5 stars on 4 Reviews. 282 pages. ASIN: B01LZ3PKZ4. How To Win Friends: …and attract fulfilling relationships into our lives (How to win friends and influence people, Declutter your mind, Minimalism books, … minimalism books, living forward) Book 1) by Aoife Leigh Clark. Price: Free. Genre: Self-Help, Personal Transformation. Rated: 4.8 stars on 7 Reviews. ASIN: B06Y595255. How to NOT Write a Book by D Gilman Wakeli. Price: Free. Genre: Self-Help, Creativity. Rated: 4.4 stars on 5 Reviews. 94 pages. ASIN: B06ZZ4NY82. Effective Parents As Transformer: How to Overcome The 7 Challenges with Your 21st Century Child by Jeanrie Russell. Price: Free. Genre: Self-Help, Relationships, Conflict Management. Rated: 4.4 stars on 5 Reviews. 46 pages. ASIN: B01N5KYHSP. *I GET YOU: How communication can change your destination by Warren Tate. Price: Free. Genre: Business & Money Book, Sponsor, Excellent Book Communication, Marketing, Telemarketing, Real Estate, Good Communication. Rated: 5 stars on 6 Reviews. 117 pages. ASIN: B071DJ38TR. *I GET YOU: How communication can change your destination by Warren Tate. Price: Free. Genre: Business & Money, Marketing & Sales, Marketing, Telemarketing. Rated: 5 stars on 6 Reviews. 117 pages. ASIN: B071DJ38TR. *The New Globalist Handbook: 13 Topics to Understand Current Global Economy and How You Can Be Part of True Change by Susana Garrido. Price: Free. Genre: Business & Money, International, Economics. Rated: 5 stars on 5 Reviews. 98 pages. ASIN: B0727LHRXD. *Life Is Rich: How To Create Lasting Wealth by Nate Scott. Price: Free. Genre: Business & Money, Personal Finance, Retirement Planning. Rated: 4.9 stars on 30 Reviews. 194 pages. ASIN: B00LJ2HNTE. *90 Days To Profit: A Proven System to Transform Your Business by Erlend Bakke, Steve Shoulder. Price: Free. Genre: Business & Money, Management & Leadership, Decision-Making & Problem Solving. Rated: 4.5 stars on 17 Reviews. 268 pages. ASIN: B06ZYB5DST. Python Programming For All: An Easy And Comprehensive Guide To Learn Python Programming Language by John P. Newton. Price: Free. Genre: Computers & Technology, Programming, Introductory & Beginning. Rated: 4.9 stars on 9 Reviews. 98 pages. ASIN: B06ZXVTFWG. TIPS AND ADVICE TO GET A JOB AND ADVANCE YOUR CAREER: A Hiring Professional’s Inside Knowledge On How To Be The Best Applicant, Interviewee And Employee That You Can Be by Alan Balmer. Price: Free. Genre: Business & Money, Job Hunting & Careers, Interviewing. Rated: 4.7 stars on 5 Reviews. 140 pages. ASIN: B06XK7DPZ6. The Basic Concepts of Multicultural World (INTERNATIONAL BUSINESS LANGUAGE CODE Book 1) by Tami Lancut Leibovitz. Price: Free. Genre: Business & Money, Business Life, Personal Success. Rated: 4.4 stars on 14 Reviews. 89 pages. ASIN: B06WWKCSK8. Simply Frugal: Living A Life Of Frugality And Loving It by Seth Cohen. Price: Free. Genre: Business & Money, Personal Finance, Budgeting & Money Management, Crafts, Hobbies & Home, How-to & Home Improvements, Do-It-Yourself. Rated: 4.4 stars on 6 Reviews. 43 pages. ASIN: B00TR605E4. The science of Being Well by Wallace Wattles. Price: Free. Genre: Business & Money, Personal Finance, Budgeting & Money Management. Rated: 4 stars on 20 Reviews. ASIN: B071DKKG19. **Love Bleeds Blue: Hot Cops. Hot Crime. Hot Romance. (Passion Patrol Series Book 4) (Deal, Not Free) by Emma Calin. Cost: $0.99. Genre: Financial Thriller Deal, Sponsor, Adult Romance. Rated: 4.5 stars on 60 Reviews. 304 pages. ASIN: B06XXYY6NT. ISBN: 1520847661. ***Birdsongs (Benny James Mystery Book 1) (Deal, Not Free) by Jason Deas, Mary Metcalfe. Cost: $0.99. Genre: Mystery Deal, Sponsor, Private Investigators, Murder. Rated: 4.2 stars on 523 Reviews. 266 pages. ASIN: B0037Z6Z9K. *(Free For Kindle Unlimited) Behind the castle wall (The Ashworth Legacy Book 1) (Deal, Not Free) by G.C. Howard. Cost: $2.99. Genre: Nonfiction Book Deal, Sponsor, Romance, Historical Romance. Rated: 5 stars on 4 Reviews. 282 pages. ASIN: B01LZ3PKZ4. *Never Is A Very Long Time: A Romantic Comedy With Attitude (The Perfect Date Book 1) (Deal, Not Free) by Donna McDonald. Cost: $2.99. Genre: Clean & Wholesome Romance Deal, Sponsor, Inspirational Romance. Rated: 4.9 stars 18 Reviews. 171 pages. ASIN: B06Y16CN4B. **Start Again (Start Again Series #1) (Deal, Not Free) by J. Saman. Cost: $0.99. Genre: Adult Romance Deal, Sponsor. Rated: 4.5 stars on 63 Reviews. 266 pages. ASIN: B01I5WBIRI. *A Beat in Time (Deal, Not Free) by Sandrine Gasq-Dion. Cost: $0.99. Genre: Adult Romance Deal, Sponsor, Rock Star Romance, Firefighter Romance. Rated: 4.5 stars on 22 Reviews. 165 pages. ASIN: B018MJ0V3G. *Shopping for a CEO’s Wife (Shopping for a Billionaire Book 12) (Deal, Not Free) by Julia Kent. Cost: $3.99. Genre: Contemporary Romance Deal, Sponsor, NY Times Bestselling Author, Romantic Comedy. Rated: 5 stars on 28 Reviews. 284 pages. ASIN: B01NH9LRL4. NY Times & USA Today Bestselling Author Julia Kent. **(Box Set Deal, Not Free) Unfinished Night — The Complete Duet: Caine & Addison, Books 1 & 2 Box Set (Unfinished Love Series, Bk 1 & 2 Bundle) (Deal, Not Free) by Violet Duke. Cost: $0.99. Genre: Adult Romance Box Set Deal, Sponsor, USA Today Bestselling Author. Rated: 4.7 stars on 52 Reviews. 578 pages. ASIN: B06ZZ72RX9. USA Today Bestselling Author Violet Duke. *BUDGET TRAVEL – The Ultimate Guide: How I left an international music career, became a Digital Nomad and began exploring the most amazing places on earth – for less than $50 a day….and how YOU can (Deal, Not Free) by Gundi Gabrielle. Cost: $0.99. Genre: Nonfiction Book Deal, Sponsor,Personal Finance, How to Travel Cheap. Rated: 4.6 stars on 24 Reviews. 121 pages. ASIN: B01AAMJYQI. *6-FIGURE SIDEHUSTLE: MAKE MONEY ONLINE DOING SOM0ETHING YOU CARE ABOUT WHILE KEEPING YOUR 9-5 (TO BEGIN WITH) (Deal, Not Free) by Nick Kastrup. Cost: $0.99. Genre: Nonfiction Deal, Sponsor, Job Hunting, Careers, Profitable Streams of Income. Rated: 5 stars on 1 Reviews. 100 pages. ASIN: B06ZYNFY92. ***The Rogue Prince (Sky Full of Stars, Book 1) (Deal, Not Free) by Lindsay Buroker. Cost: $0.99. Genre: Science Fiction Book Deal, Sponsor, Space Opera, Genetic Engineering. Rated: 4.7 stars on 127 Reviews. 324 pages. ASIN: B06ZZLH321. *Prelude To Destiny: Awakening by Fairwren Faust. Cost: $0.99. Genre: YA Fantasy Deal, Sponsor. Rated: 4.6 stars on 3 Reviews. 364 pages. ASIN: B06XFTK7B8. *A Dragon’s Destiny (Dragons Book 1) (Deal, Not Free) by Tina Glasneck. Cost: $0.99. Genre: Adventure Deal, Sponsor, Time Travel. Rated: 4.3 stars on 11 Reviews. 393 pages. ASIN: B01MDLSW0X. Fist book in series is $0.99 and 2nd book is $2.99. *The Sixth Man (Deal, Not Free) by Rupert Colley. Cost: $0.99. Genre: Historical Fiction Deal, Sponsor, War, 1943. Rated: 4.8 stars on 36 Reviews. 214 pages. ASIN: B06Y5756VW. If you like If you like Scarlet Sky or The Nightingale, you’ll love this book. *And the Day Came (Deal, Not Free) by Phyllis H. Moore. Cost: $0.99. Genre: Historical Fiction Deal, Sponsor, Sagas. Rated: 5 stars on 2 Reviews. 164 pages. ASIN: B071CJZLN2. *Chameleon Moon (Deal, Not Free) by RoAnna Sylver. Cost: $0.99. Genre: Fantasy Book Deal, Sponsor. Rated: 4.9 stars on 23 Reviews. 382 pages. ASIN: B01LW0O7KJ. *Prowlers & Growlers: A Paranormal Romance & Urban Fantasy Collection (Deal, Not Free) by Gina Kincade, Kiki Howell, Amy Lee Burgess. Cost: $0.99. Genre: Supernatural Thriller Box Set Deal, Sponsor, USA Today Bestselling Authors, Ghosts, Steamy Paranormal Romance. Rated: 4.8 stars on 6 Reviews. 999 pages. ASIN: B01MYD5JE3. USA Today Bestselling Authors inc. Gina Kincade, Amy Lee Burgess.